SeaWorld Orlando is a “theme park and marine zoological park” located just outside of Orlando. The SeaWorld Parks & Resorts Orlando complex is comprised of: SeaWorld, Aquatica, SeaWorld’s Waterpark, Discovery Cove, and seven different nearby hotels. The 10th most visited amusement park in the U.S., and one of the many theme parks in Orlando, Sea World is immensely popular for its variety of rides, live shows, animal exhibits, and the close-up, interactive experience it gives guests with marine life. However, Sea World is more than just the perfect destination for a family trip. It’s also one of our favorite Orlando event venues! 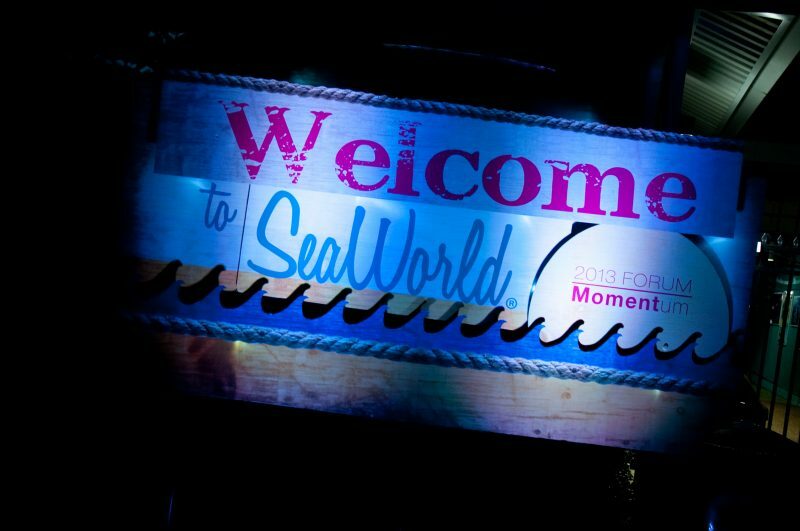 If you want to wow attendees with one-of-a-kind experiences they can’t get anywhere else, SeaWorld Orlando is the perfect event venue for your corporate event, meeting, or company dinner. Whether you’re planning a daytime event, or a nighttime dinner or reception, SeaWorld can accommodate groups of all sizes. From picnics and live shows to team-building activities and tours, Sea World provides a wide variety of options for your group. 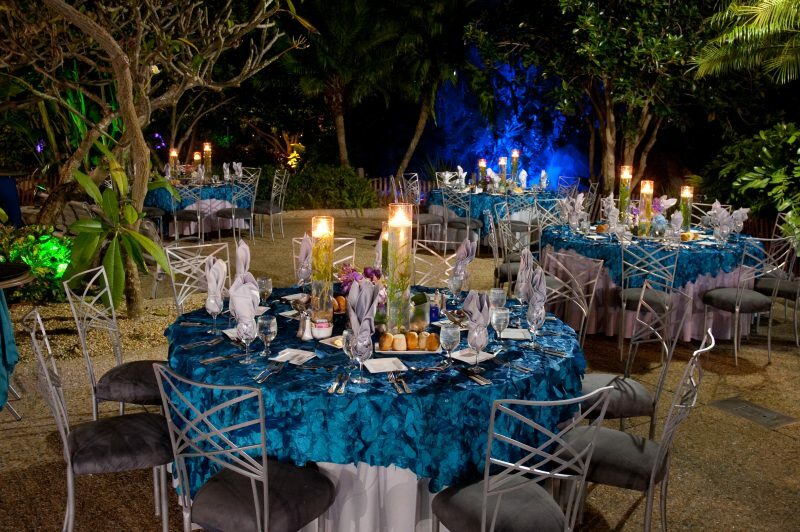 At On The Scene, our expert event managers have experience producing stand out events at SeaWorld Orlando. We know the venue inside and out, meaning we can choose the right venues, shows, and attractions to bring your company’s goals and vision to life. We work as your behind-the-scenes event partners, learning your company brand and event goals to produce an experience you and your attendees will remember for years to come. From the initial planning, coordination, and logistics, to transportation, dining, entertainment, and production, we handle it all. SeaWorld Orlando offers a wide variety of event venues within the park, and we will help you select the right one for your particular event. Whether your event is a corporate dinner for 100, or a company wide reception for 5,000, SeaWorld has the perfect event space for your group. Ports of Call (100 – 150 guests) – Featuring a 12,000 square foot ballroom this banquet facility includes a patio and tropical gardens, making it perfect for both indoor and outdoor events. Sea Harbor Pavilions (100 – 1,800 guests) – For larger groups of 100 guests or more, Sea Harbor Pavilions is the perfect setting for a picnic, reception, or cocktail hour. Covering four acres, it offers open-air pavilions, a courtyard, and plenty of open, yet private space. Wild Arctic (50 – 200 guests) – Take guests on an adventure through the Arctic with a simulator ride and themed exhibit that contains beluga whales and walruses. This space is perfect for formal dinners and receptions. Sharks Underwater Grill (50 – 230 guests): Perfect for seated dinners and receptions, this space gives guests a chance to get up close and personal with over 50 sharks and features floor-to-ceiling glass windows for a unique view of the Shark Encounter exhibit. Mako (100 – 500 guests) – Located on the grounds surrounding the Mako roller-coaster – Orlando’s tallest and fastest coaster – this is the perfect event space to add excitement to your event. Guests who choose not to ride the coaster can immerse themselves in Shark Wreck Reef, which includes Sharks Encounter, shops, and plenty of shark exhibits. Antarctica: Empire of the Penguin (300 – 4,500 guests) – Ideal for large groups and company-wide receptions, Antarctica takes guests into the world of penguins, letting them explore the penguin habitat and frozen tundra for an experience like no other. On The Scene is an award-winning Orlando event management company. With years of experience producing corporate events of all sizes, we work with companies in a wide variety of industries to create an event experience like no other. We will work as an extension of your team, working with you every step of the way and providing our expertise. If you’re interested in hosting your next corporate event at SeaWorld Orlando, contact On The Scene today to start planning!